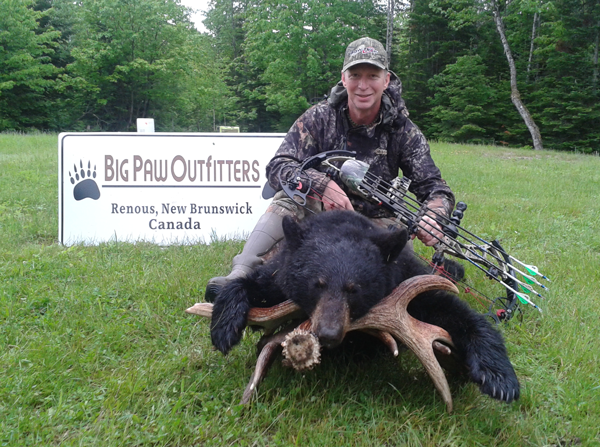 Our moose and black bear hunting lodge is located in Renous, New Brunswick Canada and we would like to take you on a black bear hunt or moose hunt experience you won’t soon forget. There is nothing quite as exciting as a Canadian Black Bear hunt. Except perhaps a Canadian Moose hunt, they both get our adrenaline flowing. We guarantee placing you on an active bait site with an extremely high success rate for you harvesting the black bear of your choice. 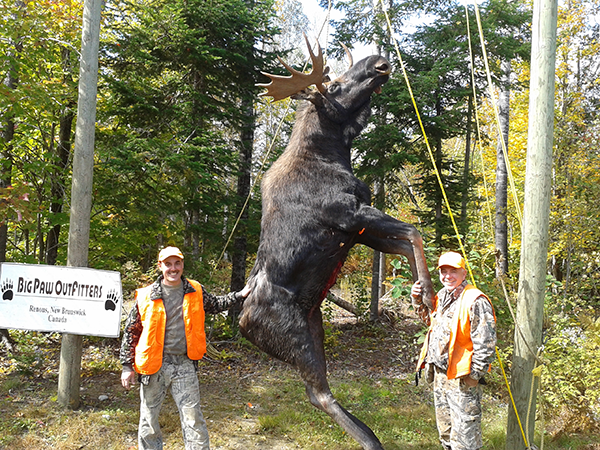 Our moose hunts are also highly successful with some of the biggest bulls tipping the scales at more than 1000 pounds and carrying magnificient racks of antlers. Check out our pages for Black Bear and Moose hunt for more specific details on hunting dates, legal weapons and other information. Our hunting camp is located in zone 7. 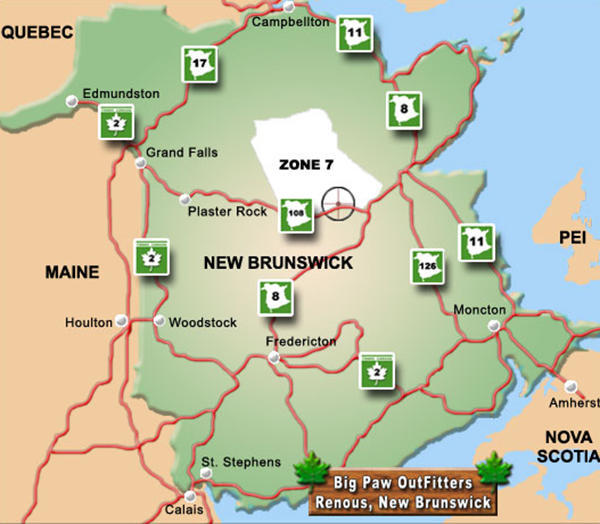 We are very fortunate to be in the LARGEST and LEAST hunted zone in New Brunswick, boasting the highest harvest success rate per hunter, which commonly leads to some outstanding size trophies. You’ll find that our hunting areas are truly breathtaking and full of wildlife. You’ll often see many creatures visiting your stand to keep you entertained while Ole Blackie makes its way towards your hunting site. We are also blessed to be surrounded by some of the best Striped Bass fishing in Canada, ONLY MINUTES AWAY from the Famous Miramichi River and Renous River. Check out our Miramichi River Striped Bass Fishing page. 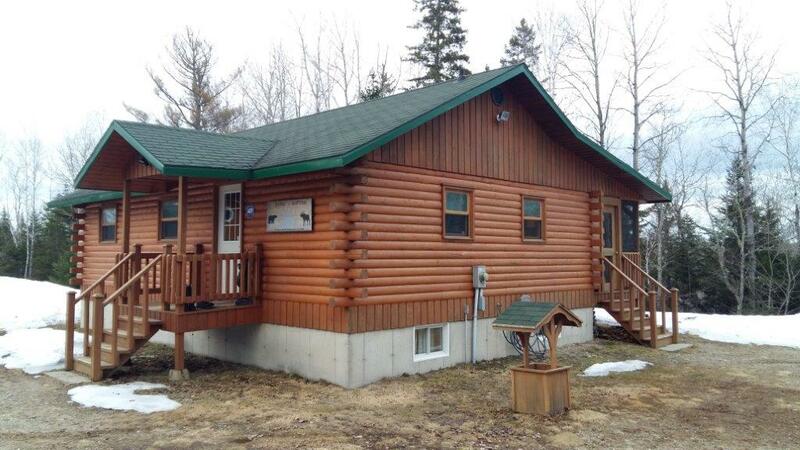 Our camp is well maintained, comfortable and no more than 45 minutes away from our furthest active bait site and moose hunting areas. You can also be sure not to go hungry once you see the abundance of home cooked meals we serve to our guests. Our friendly and knowledgeable guides put in 100% of their effort to make your stay with us both successful and enjoyable. Feel free to browse throughout our website and come experience one of Canada’s finest BIG game hunts.